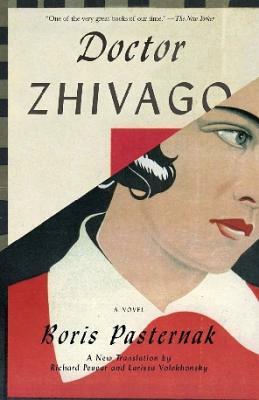 First published in Italy in 1957 amid international controversy, Doctor Zhivago is the story of the life and loves of a poet/physician during the turmoil of the Russian Revolution. Taking his family from Moscow to what he hopes will be shelter in the Ural Mountains, Zhivago finds himself instead embroiled in the battle between the Whites and the Reds. Set against this backdrop of cruelty and strife is Zhivago's love for the tender and beautiful Lara, the very embodiment of the pain and chaos of those cataclysmic times. Pevear and Volokhonsky masterfully restore the spirit of Pasternak's original—his style, rhythms, voicings, and tone—in this beautiful translation of a classic of world literature. A poet, translator, and novelist, Boris Pasternak was born in Moscow in 1890. In 1958 he was awarded the Nobel Prize in Literature but, facing threats from Soviet authorities, refused the prize. He lived in virtual exile in an artists’ community near Moscow until his death in 1960.